The previously uninhabited islands were discovered and colonized by the Portuguese in the 15th century, and became important in the Atlantic slave trade for their location. The islands’ prosperity often attracted privateers and pirates, including Sir Francis Drake, a corsair (privateer) under the authority of the English crown, who twice sacked the (then) capital Ribeira Grande, in the 1580s. The islands were also visited by Charles Darwin’s expedition in 1832. The decline in the slave trade in the 19th century resulted in an economic crisis for the islands. With few natural resources, and without strong sustainable investment from the Portuguese, the citizens grew increasingly discontented with the colonial masters, who nevertheless refused to provide the local authorities with more autonomy. A budding independence movement culminated in 1975, when a movement originally led by Amílcar Cabral (who was assassinated on 20 January 1973) then passed onto his half-brother Luís Cabral, achieved independence for the archipelago.The country has an estimated population (most of them creole) of about 500,000, with its capital city Praia accounting for a quarter of its citizens. Nearly 38% of the population lives in rural areas according to the 2010 Cape Verdean census. The literacy rate is around 85%. Politically, the country is a very stable democracy, with notable economic growth and improvements of living conditions despite its lack of natural resources, and has garnered international recognition by other countries and international organizations, which often provide development aid. Since 2007, Cape Verde has been classified as a developing nation. Tough economic times during the last decades of its colonization and the first years of Cape Verde’s independence led many to emigrate to Europe, the Americas and other African countries. This emigration was so significant that the number of Cape Verdeans and their descendants living abroad currently exceeds the population of Cape Verde itself. Historically, the influx of remittances from these emigrant communities to their families has provided a substantial contribution to help strengthen the country’s economy. Currently, the Cape Verdean economy is mostly service-oriented with a growing focus on tourism and foreign investment, which benefits from the islands’ warm climate throughout the year, diverse landscape and cultural wealth, especially in music. 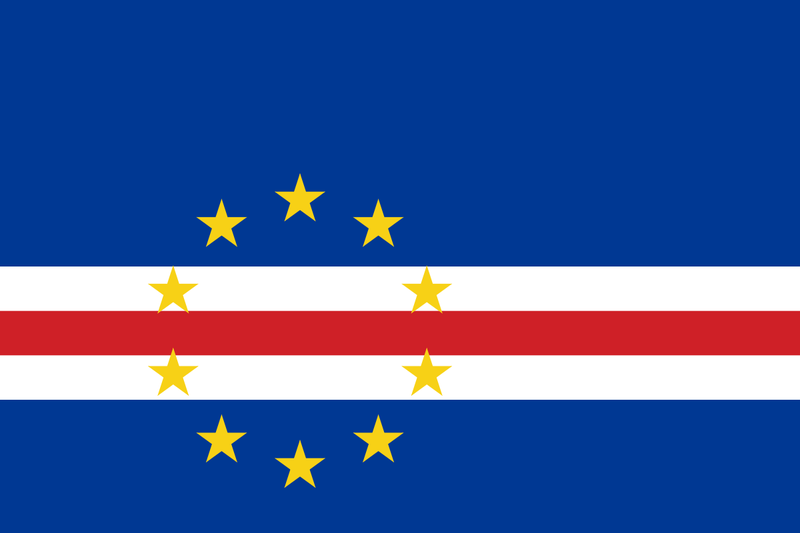 Cape Verde is a stable representative Parliamentary republic. The constitution —adopted in 1980 and revised in 1992, 1995 and 1999— defines the basic principles of its government. The president is the head of state and is elected by popular vote for a 5-year term. The prime minister is the head of government and proposes other ministers and secretaries of state. The prime minister is nominated by the National Assembly and appointed by the president. Members of the National Assembly are elected by popular vote for 5-year terms. Three parties now hold seats in the National Assembly—PAICV 40, MPD 30, and Cape Verdean Independent Democratic Union (UCID) 2. 1975 – Cape Verde becomes independent and adopts constitution envisaging unity with Guinea-Bissau. 1980 – Cape Verde ditches plans for unity with Guinea-Bissau following coup in latter. 1981 – African Party for the Independence of Cape Verde (PAICV) replaces the PAIGC and becomes the country’s sole party. 1991 – Antonio Mascarenhas Monteiro becomes president following Cape Verde’s first free election. 1992 – A new constitution brings in a multi-party system. 1996 – Mascarenhas Monteiro is re-elected and his party, the Movement for Democracy, wins a majority of seats in parliamentary elections. 2001 January – Government accepts defeat in parliamentary elections, paving the way for the return to power of the former ruling African Party for the Independence of Cape Verde, the PAICV. 2001 March – Pedro Pires, from the Party for the Independence of Cape Verde, is elected president after beating his rival, the Movement for Democracy’s Carlos Veiga, by 17 votes. 2006 January-February – Governing PAICV wins parliamentary elections and incumbent leader, Pedro Pires, is victorious in closely-contested presidential polls. 2006 June – Some 7,000 Nato troops take part in war games on Sao Vicente island. This is the organisation’s first major deployment in Africa.